If you have been trying to learn how to speak English fluently for a while, then you might be feeling a bit frustrated. When asked what their goals are, most students learning English state that they want to speak English fluently. Feeling confidant despite your mistakes? Sounding like a native English Speaker? The list could go on and on. Everyone defines fluency differently. That is why I team-up with English Harmony creator Robby Kukurs to bring you this article section focusing specifically on your English fluency issues. Speaking from my own experience, learning a language, fluency is the idea that I can communicate with others without hesitation, confusion or misunderstandings. I imagine a "utopia" where I speak perfectly. This obviously does not exist --not even for native speakers-- but it is this "idea" that pushes me to improve, study, and search for new ways to make the process easier. Speaking in English but hesitating a lot which makes you difficult to understand. 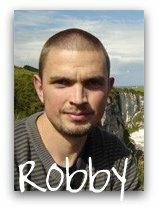 If any of those situations sound familiar, take a look below at some personalized help and advice from Robby himself. Robby is currently unable to answer new questions, but with over 30 fluency questions answered below I am sure you will find the help you are looking for. I like speaking English a lot but I'm afraid of making mistake and just want some good steps and advice to overcome this fear. Thanks! How can I gain fluency in English? I can use English words but I'm not able to make sentences fluently. How can I improve myself? Any suggestions? How can we keep ourselves motivated? What's the Key to English Fluency? Learning how to Speak English fluently might create more questions. Click here to visit our questions area! EH is for foreign English speakers whose English understanding, writing and grammar is already good but they're struggling with spoken English! This course imprints natural English speech patterns in your mind - revolutionary speech exercising technology! It helps build your English confidence - no more situations when you stop and hesitate when speaking English!